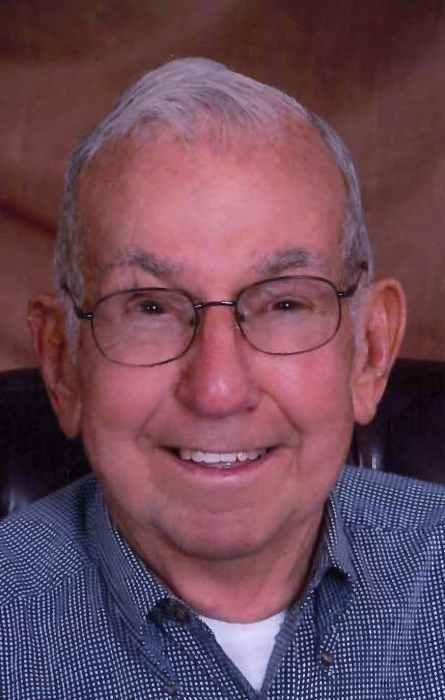 Monroe “Burton” Aldridge, 88, of Salisbury passed away Saturday, April 6, 2019, at Novant Health Forsyth Medical Center. Born in Rowan County on September 25, 1930, he was the son of the late William Dewey Aldridge and Minnie Beck Aldridge. Burton was educated in the Rowan County schools, graduating from China Grove High School. He also served in the United States Marine Corps. Burton worked in the maintenance department of Rowan Mills before retiring. He was a lifelong member of Grace Lutheran Church. In addition to his parents, Burton was preceded in death by brothers Guilford Beck, Paul Aldridge, James “Bill” Aldridge, and sisters Sylvia Pinyan, Vivian Diggs, and his first wife, Faye Freeze Aldridge. Left to cherish his memory is his wife, Geraldine Aldridge whom he married on July 14, 1991. Additional survivors are step-son Brian Martin of Rochester, NY, and stepdaughters, Terri Brown (Monty) of Salisbury and Cindy Bost of Raleigh. Grandchildren, Allison Brown, Jenna Leddon (Dylan), Lindsey Modica (Tony), Christopher Bost. Great- grandchild, Logan Snyder and numerous nieces and nephews. Visitation: 1:30 – 3:30 PM, Monday, April 8, 2019, in the Family Life Center of Grace Lutheran Church. 3020 Grace Church Road, Salisbury N.C. 28147. Service: 4:00 pm at Grace Lutheran Church with Pastor Jerome Cloninger officiating. Burial will follow in the Grace Lutheran Church Cemetery. Memorials may be made to Grace Lutheran Church, 3020 Grace Church Road, Salisbury N.C. 28147. Lyerly Funeral Home is serving the Aldridge family. Online condolences may be made at www.lyerlyfuneralhome.com.